What are the Disney World Package options? 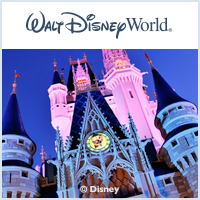 Disney Resort Hotel Package – includes accommodations at an onsite Disney owned and operated resort hotel, and Disney Theme Park Base Tickets. Disney Resort Hotel Package Plus Dining – includes accommodations at an onsite Disney owned and operated resort hotel, Disney Theme Park Base Tickets, and a great dining plan that offers a convenient and affordable way to enjoy two meals and a snack per person, per package night at more than 100 participating restaurants throughout Walt Disney World®. Disney Resort Hotel Package Plus Deluxe Dining – offers everything found in the Disney Resort Hotel Package Plus Dining, as well as breakfast, lunch, and dinner per person per package night and an assortment of other exclusive opportunities including unlimited use of recreation, tours, and other great features. Does this mean Disney will no longer offer occasional special offers? These new packages address the cost of Walt Disney World theme park tickets and packages. Walt Disney World may create special offers in the future based on business need. Do all guests on a package need to select the same ticket? Yes. Guests in the same party that are on a package must select the same ticket and any corresponding options. Do guests staying in the same room have to be on the same package? Yes, with the exception of convention delegates and other group-related bookings. When purchasing a package, does the length of the ticket need to correspond with the number of nights I’m staying in Central Florida? No, in most cases the length of the ticket no longer has to correspond with the number of nights a guest is planning to stay in Central Florida or at the Walt Disney World Resort. However, guest feedback has consistently shown that a ticket length that corresponds with the number of nights someone stays in the Central Florida area is optimum, and that will always be the first ticket offered to a guest/agent. However, this new ticket strategy allows a guest to select the pass and benefits that best fits their travel plans. Is there a minimum length of stay for a package? Each Disney Resort Hotel Package has its own terms and conditions, so be sure to read them carefully. Are these packages only bookable with Disney-owned and -operated hotels? What about the Swan and Dolphin hotels or Disney Springs hotels? What packages will be available featuring accommodations at these hotels? All four packages include accommodations at those area hotels as well as the Disney Theme Park Base Ticket with the ability to include any ticket add-on options. Will the Walt Disney Travel Company continue to offer preferred viewing locations for fireworks?